New Year's in Edinburgh: WTF is Hogmanay?! Photos from New Year's Eve in Edinburgh at the Hogmanay street party - live music, lots of fireworks and a lot of fun! I’ve spent NYE in a few different foreign cities, but this year’s NYE in Edinburgh was the first time I purposefully traveled to a different destination for the annual holiday. Scotland famously uses the Scots word “Hogmanay” for New Year’s Eve (just as in Germany, the day is called “Silvester“). No one really knows where the word comes from, but it’s survived throughout the ages. Either way, Hogmanay in Edinburgh has become a big deal over the past years. Scotland has historically put on a good party for Hogmanay, and in recent years Edinburgh has upped their game with a massive outdoors street party: live music, festival foods, traditional Gaelic céilidh dancing and a massive fireworks display. There were more than a few people who made the most of Hogmanay – dressing in funny outfits and generally just having a good time. You’ve got to keep warm somehow! CHVRCHES playing live at 2014 Edinburgh Hogmanay (way, way, way back in the distance). I can’t believe the crowd was so huge! The street party started at 9pm with more than four different stages showcasing a variety of music. I headed to the indie stage to catch acts like the synthpop band CHVRCHES (from Glasgow!) and rock band Django Django. Instead of squeezing our way up to the front near the stage, we stayed back (closer to the food & drink vendors — priorities!). The atmosphere at the stages was fairly infectious. The organizers of the street party allow visitors to bring in their own alcohol (rather than splurging on £5 drinks in the venue) so there was a lot of people sharing and passing around flasks. Definitely the right kind of concert atmosphere. The headlining act of the night, however, was the outrageously costumed electro-pop duo, Pet Shop Boys. They played at the bottom of the pit in central Edinburgh, in front of Edinburgh Castle, giving room for the audience along the grassy hill in front of the stage. That meant it was quite easy to get a good view (unlike at the smaller stages), but thanks to rainy weather earlier in the day, it was far too muddy for me. Thankfully throughout the entire evening, the Scotland weather held out and we had beautiful clear (and dry!) skies. This made the fireworks display that much more spectacular. I’ve never seen so many fireworks as I had over New Year’s Eve in Edinburgh! Beginning at 20:14, the city of Edinburgh set off fireworks to commemorate the 2014 year of homecoming. From then on out, there were additional fireworks on the hour, at every hour leading up to the midnight “Bells” (that’s what the Scots refer to as midnight/NYE). If ever Edinburgh was so colorful, it must be this night! Once the midnight bells tolled, the fireworks went off on both sides of the street party. Just above Edinburgh Castle and also in the distance on Calton Hill (where the previous night’s torchlight procession had taken place). It was a bit funny, actually. Because while throughout the night the crowds had been fun, once midnight struck, strangers were soon my best friends. Hugs, kisses, high-gives were to be had everywhere! And the Rewinder DJs rocking the smaller street stages got the crowds dancing once the fireworks ended. Fittingly, the first song of 2014 that I heard (and danced to!) was one by The Fratellis—one of my favorite indie bands from Scotland. Dancing on the streets of Edinburgh – as life should be! It’s funny how at the end of each New Year’s, suddenly a flip switches with the crowd. People are open and friendly. Dancing with strangers on the street. New Year’s is a fresh start and a beginning. New year, new people? There is a lot of stress when dealing with the New Year’s holiday. Back at home, we’d worry about what to do, which parties to attend, how to celebrate. When you travel for the holiday, though, all that pressure is gone. You’re in a foreign place and you can pretty much do whatever you want. Traveling to Edinburgh for New Year’s was easy. They put on a popular party and the live music selection was top-quality for such a small city. Would I celebrate New Year’s in Edinburgh again? Without a doubt! I love music festivals and Hogmanay’s combination of New Year’s celebrations with live music and a street party just made the whole event….well, spectacular. It was a good show. Edinburgh’s Hogmanay festival takes place every year. Tickets are already on sale for the 2014/2015 event (£20). To see the Concert in the Gardens (headlining band to be announced later in the year), separate tickets must be purchased. Top tip, though: you can hear the band from the street party if you don’t mind background noise or an obstructed view. Visit their official website for more information. Couldn’t ask for a more picturesque place to celebrate New Year’s in Edinburgh. The backdrop of the old town & the castle with the fireworks on all sides. Beautiful! Another tradition for New Year’s Eve in Edinburgh is the singing of Auld Lang Syne—the song from the end of It’s A Wonderful Life. It’s a Scottish poem, did you know? More information about my involvement with the Blogmanay campaign can be found here. 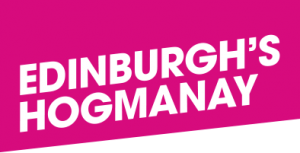 #Blogmanay is brought to you by Edinburgh’s Hogmanay and is supported by ETAG, EventScotland, Homecoming Scotland, VisitScotland, Edinburgh Festivals, Marketing Edinburgh and co-creators Haggis Adventures. Created and produced by Unique Events. As always, all opinions expressed here are entirely my own. Aw reading this makes me miss Edinburgh! It is such a pretty and fun city to live in. Glad it looks like you had a blast! Hi! 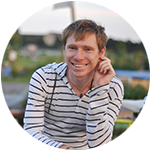 Thanks for the inspirational blog. The pix make me wish I was right now. Thanks for sharing. Looks fantastic I can not wait to experience that next year. I am visiting Edinburgh for 9 months and will be there for Christmas and New Years. Sounds fantastic Melinda! What will you be doing in Edinburgh for all that time? ?